I met Tim almost four years ago through work, and we were friends for about a year and a half before we started dating. We both work retail and, at the time, for the same company. 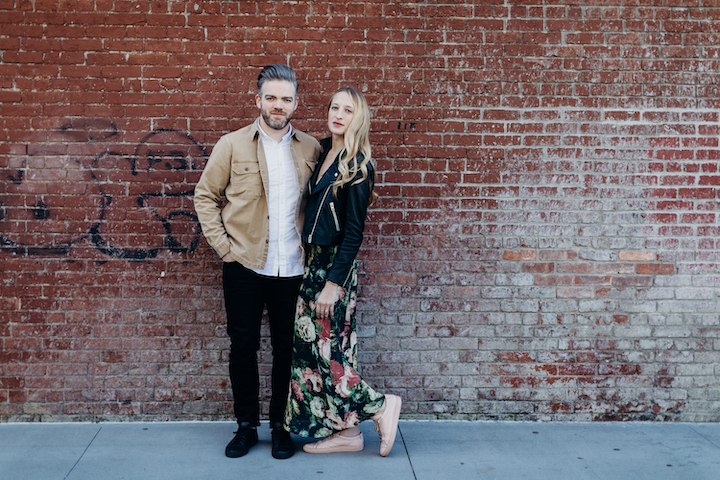 We were both chosen to open up a new store in Williamsburg, Brooklyn (important detail for the proposal) and he was the first person I met that day as I walked up to the store. 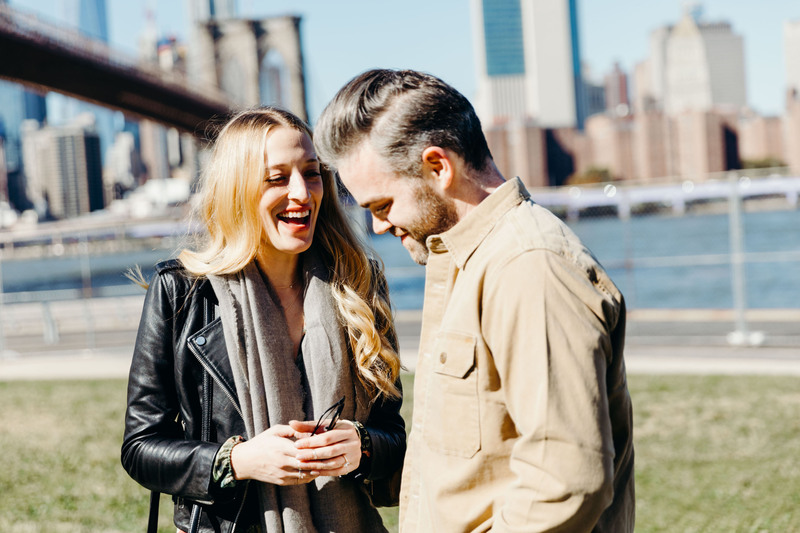 We very quickly became friends – he can make me laugh like no one else – and we started hanging out outside of work, eventually growing even closer. At the time, I had given up on my dream of singing opera and was trying to decide if I should give it another shot. Tim pushed me to try again and has been one of the biggest supporters of my musical journey! I’m happy to say, shortly after, we started dating. Right after I met his parents for the first time, he was super cute and asked, “If I would be his girlfriend?” Tim also likes to say that the minute he asked me that question, he knew we would be getting married. Fast-forward three years, different jobs, pursuing opera singing, tons of travel, and countless laughs, he finally asked me to spend our lives together! We had a planned trip back to Connecticut for that weekend and were planning on leaving on a Friday, but had taken the day off before to spend time together. Tim woke up SUPER early on Thursday, and started running around, tidying up the apartment, and packing. I have no idea what was really going on that day and was trying to figure out why he was packing when we weren’t leaving for another day. I slowly got up, made coffee, and jumped in the shower, under the assumption we were “going out to lunch” as he had said. When I got out, Tim had packed a bag for me and was super quiet. We finally get into the car and head to Brooklyn’s waterfront, where the “restaurant” is. Once we get to DUMBO, he’s on his phone “trying to find the restaurant” and we start walking towards the water, with the Brooklyn Bridge in the background. Of course, I say, “Yes!” and as he’s putting on the ring, I hear the clicking of a camera. I turn around, and Jess, a photographer who I’ve worked with professionally before, was there. This immediately made us feel at ease having worked with her because she is so great to work with. 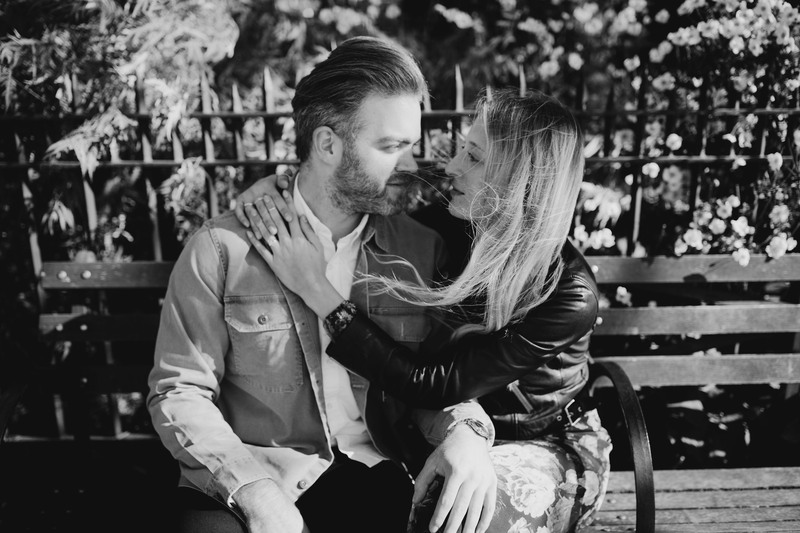 We ended up spending the next couple of hours all over Brooklyn doing a surprise engagement shoot, which was amazing. Our families do not live in NYC, so it was a thoughtful way of making sure they could see the day and be a part of it. Tim actually tried to propose to me THREE times! It’s like they say, third time’s the charm. The first time, was July 13, 2018, which would have marked 1,000 days of our dating. The second time was October 17, 2018, which marked our three-year anniversary. And the third and final time, was October 25, 2018. The issue all three times was the ring. I apparently was kind of vague, but somehow super specific, at the same time. I told him that I disliked the majority of diamond shapes, but that I wanted a solitaire, and it had to be on a gold band. He totally underestimated the amount of time it would take to locate the stone and kept having to move the proposal. Thankfully, one of his best friends’ family is a well-known jeweler in Connecticut, Michaels Jewelers, and once the stone was found, they were able to rush to have the ring set and ready for the big day. Tim absolutely nailed the ring and ended up finding the most perfect kite diamond. At the end of the day, this is the ring I never knew I wanted, but it fits me perfectly… exactly as Tim knew it would. At this point, I think the day is over, but Tim has us rushing back to the apartment to pick up our bags, and we’re back in a car, heading towards Williamsburg, the place we first met and fell in love. I’m still in shock and am not really processing things, but we pulled up to The William Vale, which is a few blocks from where we originally had met. We had the most beautiful room (with the most gorgeous floral arrangement from Rosehip Social (another important detail for later), looking at the Manhattan skyline, and had some time to ourselves to enjoy the moment and also call our family + close friends to tell them the news. Tim also had coordinated our absolute favorite sandwiches from Depanneur in Williamsburg to be delivered to the room, which was such a sweet touch since we went there all the time when we first met. That night, we continued the celebration at a restaurant Tim had set up for dinner. After we were done, we headed back to the hotel and I asked him if we should stop somewhere for a glass of champagne to celebrate. He suggested we go to Westlight, the roof bar at The William Vale. We walked in, and low and behold, all of our close friends were there and we had a mini-engagement party. The next morning, I tried to take a few flowers from the floral arrangement with us, and Tim was insistent that we leave them all in the room. I was devastated that we were losing the gorgeous, meaningful floral arrangement. Tim finally told me that he had arranged the hotel to bring the arrangement downstairs and it was going over to our friend, Lacie, at Framed Florals! Lacie makes the most incredible pieces of art, by using pressed flowers from floral arrangements. 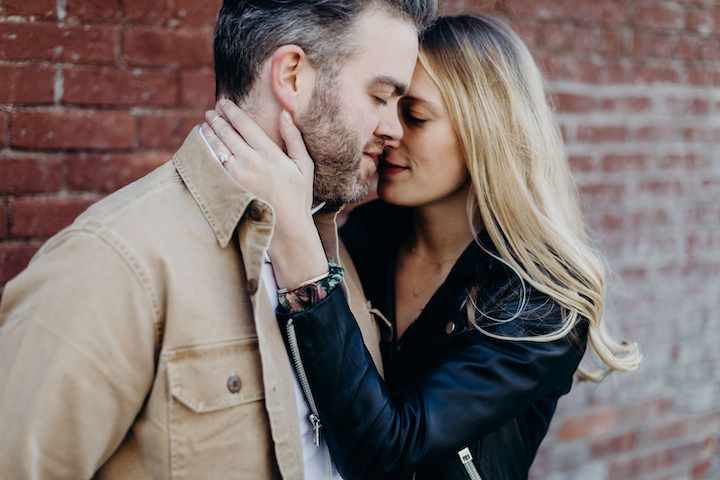 I had been dying to work with her on something and I was blown away that he incorporated it into the proposal. Tim literally thought of every single detail of things I love, had mentioned wanting, and things he knew I would want. The whole day was uniquely us and I couldn’t have planned it better myself. It was the most magical day I’ve had so far, and I can’t wait for our wedding! Get news, announcements and promotions straight to your inbox.